Wasaline continues to grow with new record volumes for the first quarter of the year and increases its market share between the traffic in Sweden and Finland. There was an increase of 13.6% on the passenger side, and the turnover increased 10,7%. Cargo showed new record volumes with an increase of 452 units (+ 12.5%) and transported 18% more freight. 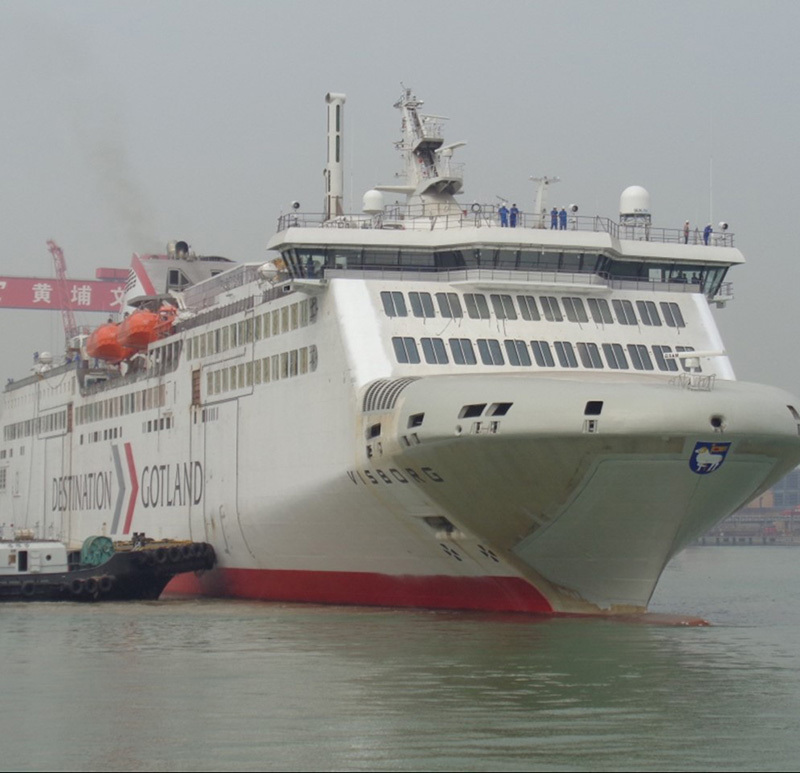 Gotlandsbolaget says on its website that their new ship under construction in China will be ready in July. First sea trials have been done, and more trials are expected. After the delivery trip the vessel will be phased in after summer. The delivery delay is caused by the need to move the vessel to a newly built yard outside of Guangzhou. However, this does not affect the contractual capacity with the Swedish State. Finnish Archipelago Ltd, which is part of the Finferries Group, has purchased half the stock of the Åland-based company Ansgar Ab. Ansgar Ltd’s operations continue as previously with archipelago traffic for the Åland Government. For Finferries it is a logic extension of the business area. The company already chartered ships to Ansgar. This company currently operates 44 ferry routes in Finland. Ansgar Ab has three routes in the Åland archipelago. 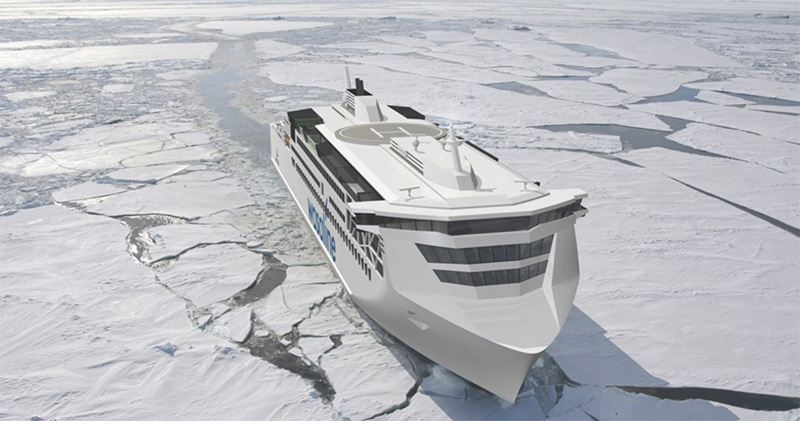 Confirmation by the IMO of a 20% correction in its Energy Efficiency Design Index (EEDI) calculation formula for ro-ro and ro-pax vessels has been welcomed by trade association Interferry as an incentive to revive newbuild projects that have been inhibited by the current criteria. The initial strategy envisages to reduce the total annual GHG emissions by at least 50% by 2050. The City of Vasaa is prepared to help financing the building of a new ferry for Wasaline, says Ålands Sjöfart. 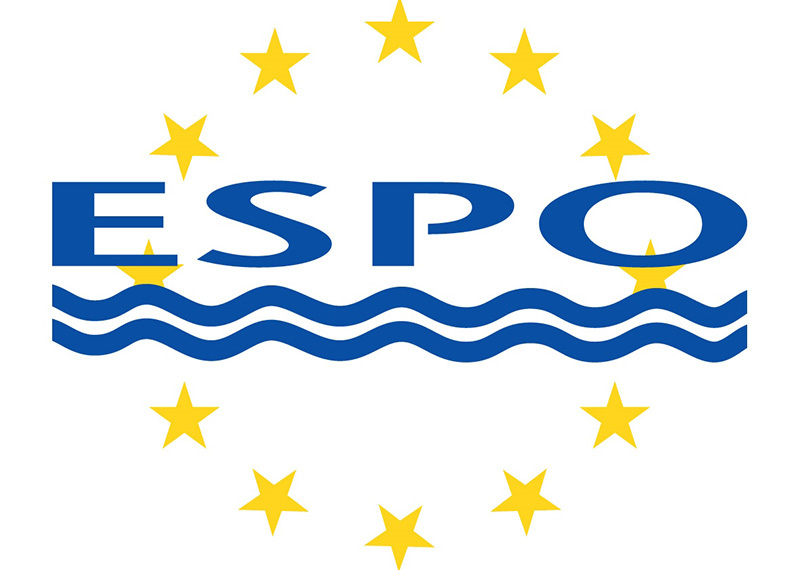 The city council of Vasa will be supporting and legally guaranteeing a loan taken by the ferry line on EUR 35 million and give a direct loan of EUR 25 million. The European Investment Bank is ready to lend EUR 70 million. Earlier this year several yards have been contacted to get a view on the possibilities. Polferries’ CRACOVIA has been to Rønne, Bornholm, for a test call on Saturday April 14. It was a technical operation to test the berths. The vessel will restart to call at the Danish island port as from June 30, coming from Swinoujscie. As a result of the increasing shipments from and to Portugal, CLdN has again added a 4th departure from Rotterdam to Leixoes. There is a possibility that the Elbe ferry service between Cuxhaven and Brunsbuttel gets a new start in May, after last year’s bankruptcy, says the Mayor of Cuxhaven. Talks are on their way.